Whereas an open fireplace is a most tempting image for a lazy Sunday, a good ol' functional home office serves as the best motivation for a chilly Monday. Like the above bright, wooden warm interiors, wrapped up in style and attitude, with that indistinct scent of creation in the atmosphere all around. 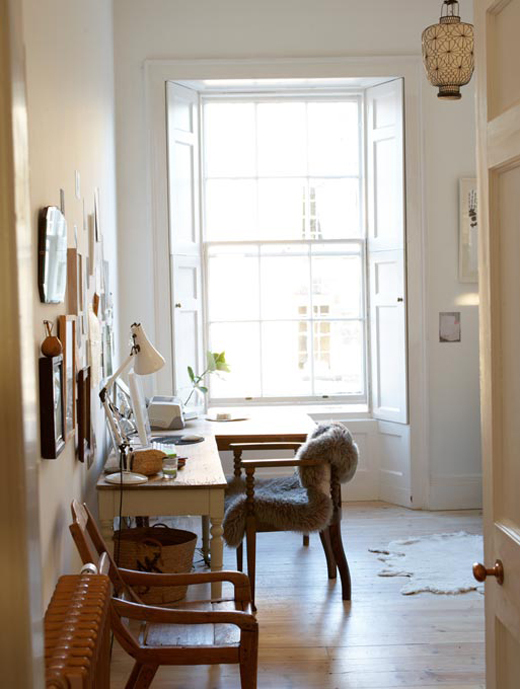 8 comments on "Home office inspiration"
have a happy week. Greetings from cold germany, geisslein. 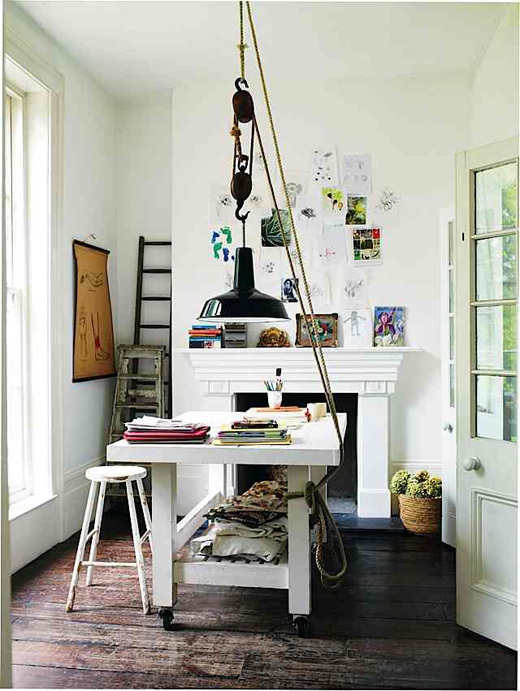 I just love that drop factory pendant - so stylish. Every time I open your blog, I find stuff I want to pin! Thank you! ohh.,,que maravillas! me encantan esos estudios tan blancos y con tanta calidez. I love that first pic. You find such beautiful decor, I am totally using you for my ideal home. It sure gave me inspiration, thank you very much for sharing. The challenge with home office setups is finding the right balance between comfort and a work conducive environment. You can't be to relaxed, specially not at home. What I really loved about your home office is that it's situated next to the window. This gives it a refreshing feel, which you will not get in a confined space.